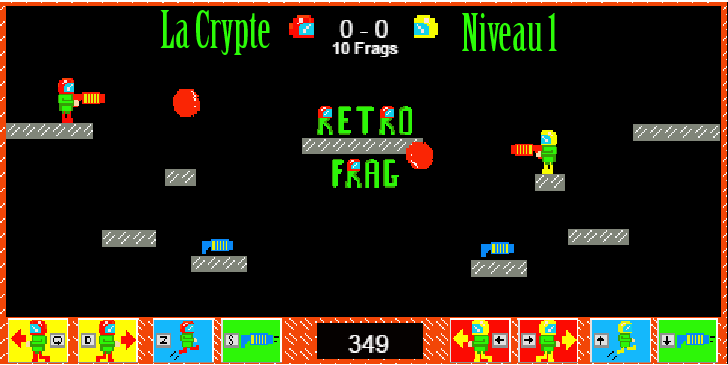 I present retrofrag.com it is a free online game that I do with construct. You can play several office between colleagues or friends when the boss is in a meeting. play with only 1 keyboard ! Other levels will arrive and even a solo adventure mode when I am 102 years old. This had me laughing in my apartment (lol those cooked turkeys!) . Great fun! Thank you! yes this is the advantage of making its games. You can put what you want fun fun fun.